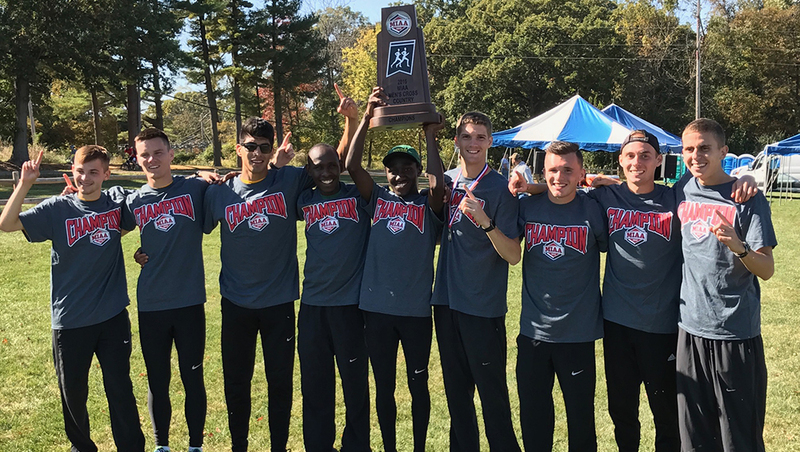 Elsah, Ill. — The Missouri Southern men’s cross country team won the title and sophomore Vincent Kiprop repeated as individual champion as the Lions competed at the 2016 MIAA Cross Country Championships today. The meet took place at the North Farm Cross Country Course on the campus of Principia College. Kiprop won his fourth individual title this year and the men completed the same feat, winning the fourth meet of the season. The Lions placed three runners in the top ten and all five scoring times in the top 15, while placing six in the top 20. Kiprop traversed the 8k course in a time of 24:17.98, winning by 23 seconds. Cristobal Renteria was fifth in a time of 25:03.53, while Tyler Rush was eighth in a time of 25:15.08. Mike Shanahan was 13th in a time of 25:26.58 and Cody Berry was 15th in a time of 25:29.71. Jared Haltom placed 20th in a time of 25:39.04. Each of the runners earned All-MIAA status. Nickson Kiptoo was 23rd in a time of 25:45.22, while Ryan Drendel was 76th (27:36.01) and Luke Johnson(28:22.71) was 86th. The Lions scored 42 points as a team, finishing 30 points in front of second-place Northwest Missouri. Pittsburg State was third, followed by Fort Hays State, Southwest Baptist, Nebraska-Kearney, Lindenwood, Washburn, Central Missouri and Emporia State. Southern will be back in action on November 5 as the Lions will participate in the 2016 NCAA Central Region Championships in Sioux Falls, SD.